Our application process is very thorough, but the following information should help you to navigate the system. and enjoys meeting new people and joining in. If you think that this describes you, then why not think about applying to study here as a registered visiting student? We welcome applications from universities with whom we have a partnership. Unfortunately, we are unable to accept individual applications. We have a competitive admissions procedure and all applications are assessed by our Senior Tutor and the Director of the Visiting Student Programme. They will make the final decision as to which applicants are offered a place. A completed application form. Forms can be obtained from your home university’s study abroad office. The original version of your most recent university transcript. You should have a GPA of at least 3.7. A letter of support. This should come from a faculty member of your home university, supporting your proposed plan of study and how this will relate to your current degree. A personal statement. This should be a one-page account of your academic and personal goals and your reasons for applying to Oxford University. We expect you to focus on the subject areas you are studying, your intellectual interests, and how these topics and interests link with the tutorial topics requested in your application form. Two academic references. These must be written on university headed paper, signed by the referees, and placed in sealed envelopes. Your referee should sign their name across the seal. Two samples of written work. These should have been submitted to academic tutors at your home university, should be marked and should include your respective tutor’s handwritten feedback comments. Ideally, the written work will be in the subject area you wish to study at Hertford. For applicants who are not from an English-speaking country or who have not been solely educated in English throughout the past two years at the time of their application (by February deadline), we are required by the Home Office and Oxford University to assess your English language ability. All teaching at Oxford is carried out in English (with the exception of some language-related teaching) and tutors must be convinced that you have sufficient fluency in written and spoken English to cope with your course from the start. Therefore, the University requires the following from a non-native English-speaking applicant: IELTS overall score of 7.0 (with at least 7.0 in each of the four components). All applications should arrive by the Hertford deadline of mid-February. We are happy to look at late applications if we still have places available, but you stand a much better chance of getting a place if your application reaches us on time. Therefore, you should consider your study abroad options and approach potential referees in the fall semester of your sophomore year. You should aim to have your application materials completed and ready to submit by the end of January. Who can I ask for advice about my application? Your first port of call should be the advisors in your home institution’s study abroad office. For advice about what subject to study at Hertford, you can also contact the Director of the Visiting Student Programme. When will I be in Oxford? At Oxford University, we have three terms rather than two semesters. Each teaching term is eight weeks long and the weeks are numbered 1st week to 8th week. At the beginning of each term is a ‘settling in’ week known as 0th week. Do I come for one, two or three terms as a visiting student? We especially welcome applications for the whole academic year, as this enables you as a visiting student to really get to know people at Hertford and get to grips with the Oxford academic system. Students who come for the whole year tell us that they’re really glad they did so. If you cannot commit to the whole academic year, we suggest that you apply for our two term option from January to June. This gives you time to settle in academically and the opportunity to explore Europe during the Easter vacation. You’ll also be able to enjoy Oxford at its most beautiful in the summer term, and try out quintessentially Oxford past times such as punting along the River Thames. We can accept a limited number of students in the autumn term only. This option requires students to arrive at the beginning of September in order to participate in the Humanities Seminar run jointly with Worcester College. Princeton students who have applied for the autumn term only, via the Woodrow Wilson School programme, arrive at the beginning of September to participate in the modern History Seminar. New students arrive at the start of 0th week for orientation activities. 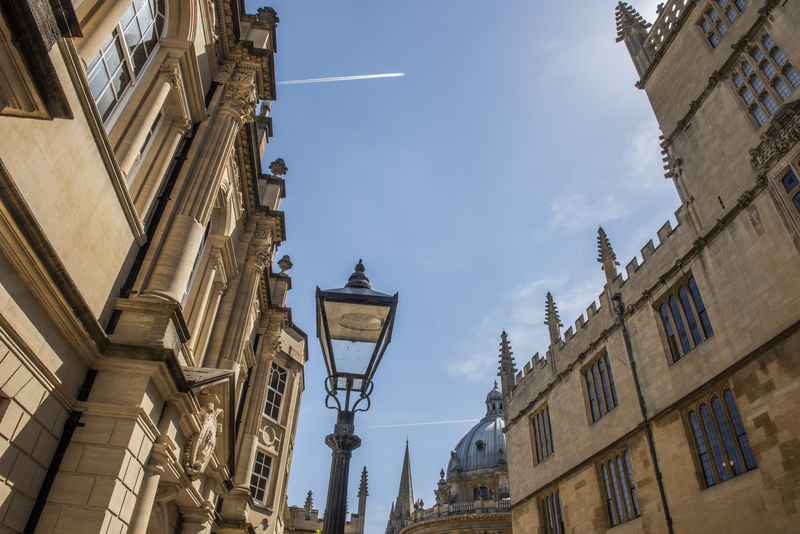 Returning students must arrive back in Oxford no later than the Thursday of 0th week, to allow sufficient time to recover from jet lag before the teaching term starts in week 1. Students enrolled for the September seminars and Michaelmas term only, and for the Trinity term only must vacate their room at the end of their designated term end in December. From September 2019 onward, students enrolled for the whole academic year or for the Hilary and Trinity terms will keep their allocated room for the duration of their stay. This means they do not have to pack up and store their belongings in the vacation period if they return home or go travelling. Sunday 8 September 2019: New students to arrive for the History Seminar or the Humanities Seminar. Sunday 6 October 2019: New students to arrive for the full academic year. Sunday 8 December 2019: End of term for the Academic Year students and the September Seminar and Michaelmas term only students. Sunday 12 January 2020: New students to arrive. Thursday 16 January 2020: Returning full academic year students must be back in college by this date. Sunday 15 March 2020: End of term. Wednesday 16 April 2020: New students to arrive for ten-week Trinity Programme. Thursday 23 April 2020: Returning full academic year and two-term students must be back in college by this date. Sunday 21 June 2020: Full academic year and two-term students to depart. Sunday 28 June 2020: Ten-week Trinity Programme students to depart. Which universities do we work with? We are unable to accept individual applications to be a visiting student, so please make sure you apply through your institution’s study abroad office. We work closely with your study abroad advisors, who should be your first port of call and important sources of advice. You can request application forms for Hertford’s Visiting Student Programme from the study abroad office at your home university. Prospective applicants from all other universities should apply through the College of Global Studies at Arcadia University or through Butler University’s Institute for Study Abroad.